If you love the world of travel and are also interested in pursuing a career within the medical sector, you may have asked yourself “What is a traveling nurse?” at some point. By reading the information found below, you can obtain an answer to this question and subsequently determine whether pursuing a career in this sector would be a good decision. A travel nurse is a nurse that an employer hires to work within a specific location for a limited time period. Typically, a travel nurse will spend 13 weeks in one region and subsequently move around to other places in the country depending on where nursing assistance is needed. As a result of the fact that demand for nurses remains high, it is often the case that certain regions experience shortages. When these shortages occur, the travel nurse is hired to fill the gap. Although the typical travel nurse assignment will last around 13 weeks, they can range from 8 to 26 weeks. Additionally, a travel nurse can possess a plethora of unique specialties (surgery, acute care, cardiac care, and pediatrics) and choose between many job opportunities based on skill set and educational level. For this reason, travel nurses often have a great deal of freedom with respect to deciding when and for whom they want to work. In having this type of freedom, traveling nurses are oftentimes able to take extended time off while also avoiding the potential monotony and boredom that results from doing the same type of work in the same place every day. Additionally, traveling nurses will typically have the cost of travel and living arrangements covered by their employer. 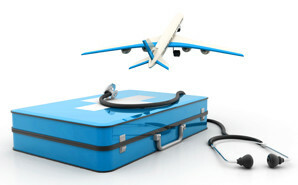 Individuals who wish to become travel nurses must obtain a degree as a Registered Nurse. There are three main paths an individual can take to accomplish this objective. The first is to attend a hospital-based nursing school, and completing coursework will typically take four years. The second option is to obtain an Associate’s in Nursing, and this process will last two years. After obtaining the associate’s, the next step would be to enroll in a bachelor’s degree program, and completing these educational requirements would usually entail one to two more years of schooling. Finally, one could opt to enroll in a bachelor’s degree program to earn a Bachelor of Science in Nursing. This process would typically take four years. According to the American Association of Colleges of Nursing (AACN), the bachelor’s degree is the minimal requirement. Travel nurses who wish to advance within their chosen vocational sector can take additional courses and become nurse educators or nurse practitioners. They can also gain certification in a specialty. According to Indeed, the traveling nurse can expect to earn $96,000 annually. If you are thinking about pursuing a career as a traveling nurse, you should know that doing so can be both intellectually stimulating and economically rewarding. Now that you have learned what a traveling nurse is, you can determine whether this is the type of vocational path that you should pursue.